Symfony can be defined as PHP Framework , a development process or a set of tools with a splendid philosophy an community. If you want to pace up the development of and maintenance of your PHP web applications and substitute the cyclic coding tasks through control , pleasure and power then Symfony PHP Framework is the ideal choice for you. 1) The complete version of this framework will allow you to create complex web applications with all the functionalities that you need. 2) It as well acts as a brick by brick framework so that you can add only those functionalities that you need. 3) You can use it as well as a Standalone PHP Micro Framework for creating any kind of specific functionality for your project. So this makes it easy for you build a specific functionality devoid of you having to redevelop everything & devoid of having install the complete framework. In the world of IT it is pretty obvious that people are very much bothered about the performance of web applications once it is developed from both the technological and functional levels. Everybody knows that Performance Optimization is not easy but Symfony from the very beginning is fast and in favor of performance. Symfony developed by Sensio Labs has great supportive community when it comes to security related issues and as well to provide high level of stability the lower versions of this framework are also compatible and guaranteed with the API’s. This entire framework is presented as a single bundle right from the smallest brick to the core version and every bundle of this framework adds functionality to the core framework. 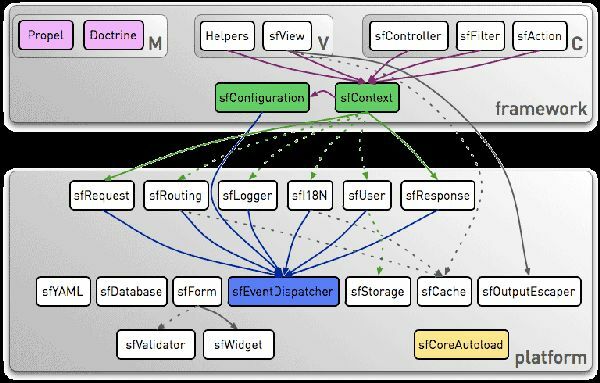 One can reuse the bundles of this framework in different projects. The system of bundles will let you modify anything within the Symfony framework along with the core itself. You can as well modify the behavior of the bundles within the framework devoid of having to reconfigure it completely. This PHP Framework guarantees high level of comfort to all the web developers by dealing with all the unlikable tasks. Using Symfony 2 the web developers can actually focus on the major highlights of the web application so that they can fulfill their role an enhance their productivity. Apart from the various tools which make the life of a developer easy this as well has a legendary Web Debug Toolbar and local support for all sorts dev environments , native security and detailed error pages. Symfony as a framework is totally flexible and capable of meeting all the requirements of advanced users and professionals. With great ease of access , huge community , good documentation , best in class professional support and in built best web practices Symfony is an ideal choice for all the beginners with PHP. 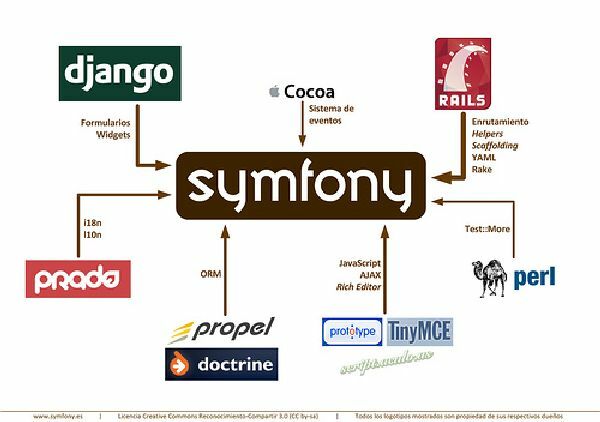 If you wish to make you daily life easier and would like to have a broader vision of all your application assets then you must choose Symfony.